Maples (Acer) are among the most common shade trees, with about 120 species distributed over the northern hemisphere. Within various species, there may also be scores of cultivated varieties. 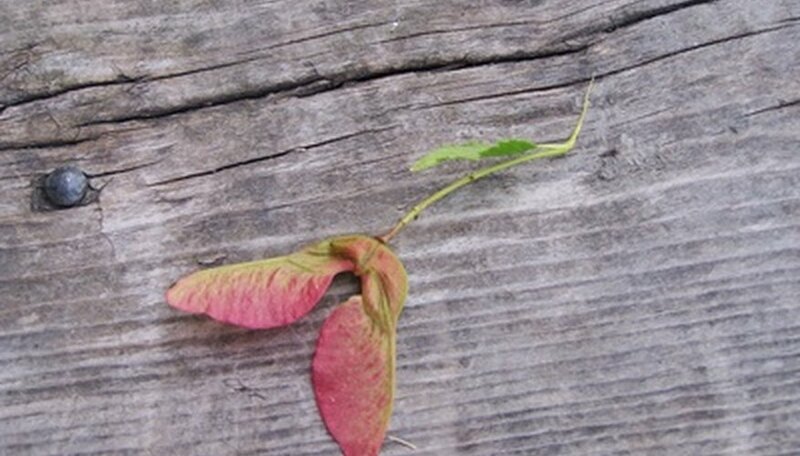 Differentiating among the many maples species and varieties is easiest when leaves are present, though sometimes identification can be made by looking at the distinctive winged fruits or samaras. Since many maples are deciduous, losing their leaves in cold weather, it is sometimes necessary to make identifications based on bark alone. A good illustrated guidebook can be helpful, as the bark of mature trees may be different from the bark of younger specimens of the same species. Look carefully at the bark. If it is smooth to the touch, gray or gray-brown in color and the tree is relatively young, it might be any one of a number of common maples, including red, Norway, sugar or silver maple. The bark of these trees furrows as the specimens age. If the tree is mature and the bark is still smooth, the tree may be a hornbeam, ivy-leafed, Manchurian, Amur or mountain maple. Look at and feel the bark, if possible, if the tree is mature. If it is gray-black and lightly ridged and furrowed, the tree may be the popular Norway maple, but might also be a red maple. Other species with ridged, furrowed bark include the hedge maple and ash-leafed maple. The lesser known purpleblow maple has very rough, fissured bark, which may have a purple tinge when the tree is young. Check to see whether the bark of the maple under examination is exfoliating or peeling off, revealing fresh, smooth bark underneath. The most common exfoliating species is the paperbark maple. The less common plane tree maple also has bark that flakes off to reveal orange-tinged inner bark. 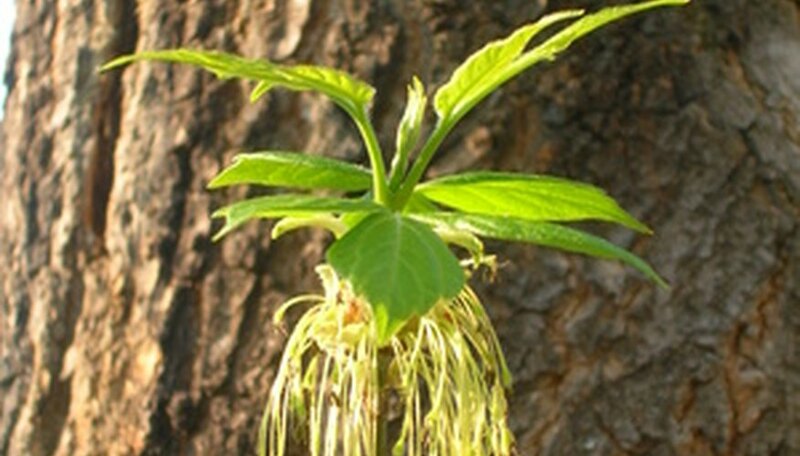 The three-flower maple also has exfoliating bark, which is brown to golden brown in color. If the bark has green and white stripes, the maple is the striped or snake bark maple. When trying to figure out a maple's species from its bark, consider the tree's geographic location. Some species have a very limited range, while others are widely distributed geographically. By combining observations about the age of the tree, along with the color and texture of bark, plus geographic information, you will be able to make a reasonable guess as to the species. Why Is My Japanese Maple Turning Green?